Do you ever pick a theme for your entire New Year? If the idea of goal setting makes you squirm…consider picking a theme instead. 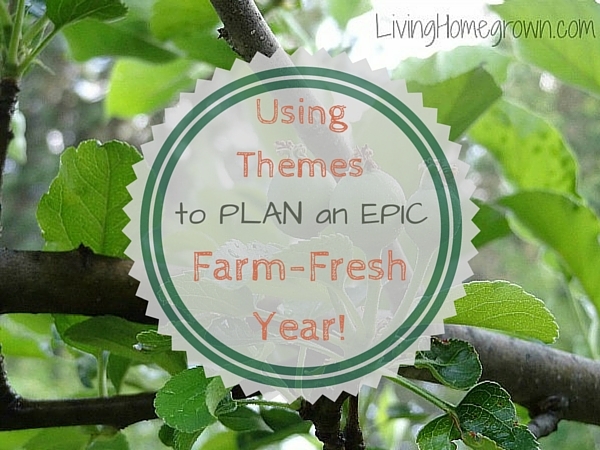 A theme can be less daunting than picking a bunch of goals or writing out a page of to-dos. It is like a GPS guide post without laying out the whole map on how to get there. It is just your beacon to help keep you on track. Although I have previously set themes for seasons within my years, I have never set an over all theme for the entire year. In fact, I would say most of the time the universe does the picking for me. I just sort of let the year unfold a universal theme without any input on my part. Last year ended up like that. And it was terrible!